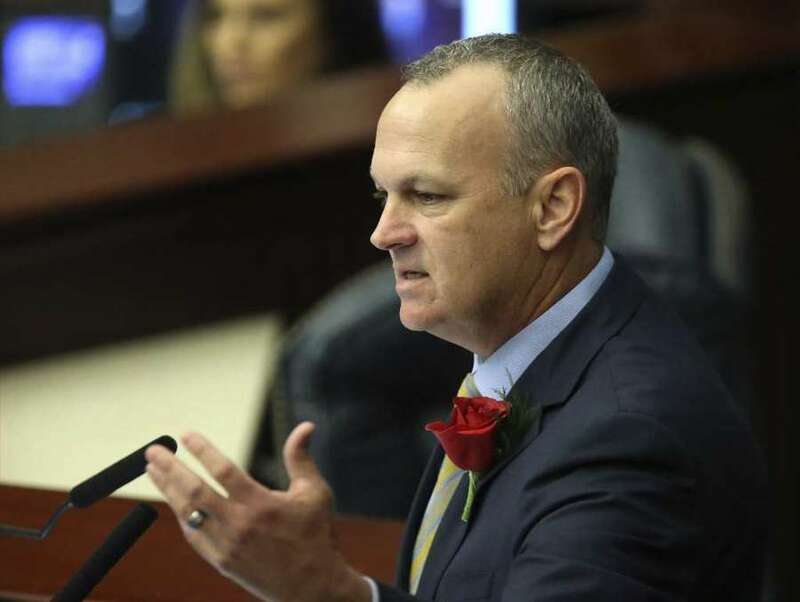 Corcoran could become the "most disruptive education reformer in our state's history," former Senate president Don Gaetz said. Former Florida House Speaker Richard Corcoran. Talk of former House Speaker Richard Corcoran's possible ascendance to the top education job in Florida gained steam Monday, as a key insider told the Tampa Bay Times the move is likely, despite the State Board of Education's recent decision to extend the tenure of Pam Stewart, who now holds the post. "I believe he will be appointed, and if he is, there won't be any question as to who the new commissioner is or what his beliefs are," said former state Senate president Don Gaetz. Gaetz, a one-time Okaloosa County superintendent and School Board member, was among the handful of people whose name repeatedly surfaced during conversations of who will head the Department of Education under Gov.-elect Ron DeSantis. His son, U.S. Rep. Matt Gaetz, is a close confidante of DeSantis. And the elder Gaetz has offered advice to the incoming governor on several occasions. He said he and DeSantis recently met to discuss education issues, including the commissioner's post. "He asked me for ideas, and asked me if I was interested" in the job, Gaetz said. "I provided him some ideas, but I told the governor-elect very specifically that I was not interested in being appointed education commissioner." That response appeared to clear the way for a Corcoran appointment. After all, DeSantis has been "very serious" in advancing his own ideas for education, Gaetz said, ideas that jibe closely with Corcoran's record. Those include expanded choice and reprioritizing funding rather than raising taxes. Corcoran did not immediately respond to a request for comment Monday. Once in the running to be governor himself, he at one point had choice words for DeSantis. "He's got a bulldog mouth, a chihuahua a—, and he doesn't even know what the heck is going on in this state," Corcoran said of DeSantis in July. He later endorsed DeSantis against Gillum, and has helped with his transition team. During his tenure, Corcoran — whose wife runs a Pasco County charter school — led the charge for a new charter school model called "Schools of Hope." That program cleared the path for state-approved providers to bring schools into communities where district campuses have fared poorly over time. He was the architect of the controversial "Best and Brightest" teacher bonus, based in part on teachers' college entrance exam scores. And he actively promoted expansion of tax credit scholarships, this time for children who claim to have been bullied in public school. Gaetz said he anticipated Corcoran as education commissioner would continue to promote such ideas. If anyone thought former Gov. Jeb Bush changed Florida's education landscape, he said, "they will find Richard Corcoran the most disruptive education reformer in our state's history." That thought has sent chills down the spines of the groups that advocate for keeping more money and focus on improving district public schools. The Florida Education Association, which supported Democrat Andrew Gillum for governor, launched the social media tag #StopCorcoran soon after rumors of his appointment emerged in Florida Politics and Politico. "Richard Corcoran may be the worst possible candidate to lead Florida's Department of Education," FEA president Fedrick Ingram said via email. "Time and again as House speaker, he demonstrated open hostility for public education — starving public schools of funding, pushing for charter schools and privatization at the expense of our public system. I could go on and on about the hostility we have seen from Corcoran toward our public schools and toward educators. Despite our growing teacher shortage, he has denied real salary increases to teachers and education staff professionals, and instead advocated silly bonus schemes to circumvent paying for salaries and benefits." 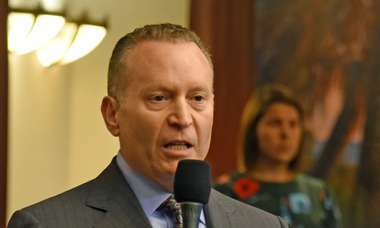 Other Corcoran critics also quickly took to Facebook and Twitter, arguing he would bring nothing good to education in Florida. He also had his share of defenders. Brevard County School Board member Tina Descovich, incoming president of the conservative Florida Coalition of School Board Members, praised Corcoran for his strong support of the "pro-choice movement." "Our organization supports those ideals," Descovich said. Others "are acting like it's the end of the world. We are not afraid of Richard Corcoran in that role." Her group's outgoing president, Sarasota board member Bridget Ziegler, tweeted her "full support" for Corcoran as commissioner. "We need you," she wrote. Former state Rep. Ralph Arza, now a lobbyist for the Florida Charter School Alliance, also welcomed the idea of having the Land O'Lakes Republican in the Department of Education. "Richard is a leader," said Arza, who first met Corcoran while Arza was in House leadership and Corcoran was Marco Rubio's chief of staff. "No matter what Richard decides to do, Richard is going to be effective, because the track record of his life shows that." Putting a new commissioner in place would require Stewart, who has held the job since 2013, to step aside, and the Board of Education to name DeSantis' pick. In October, before the election, she agreed to the State Board's request that she stay on for another year. But she has not announced whether she would step aside to make way for a new pick from the governor-elect. FEA president Ingram called upon DeSantis to hold a national search for a "highly qualified, highly credentialed education professional" to take the job, while Stewart completes her final year in office. Gaetz anticipated Stewart and the Board of Education members, who largely share DeSantis' education philosophy, will work to set the governor-elect's plan in motion. If Gillum had won, Arza noted, those criticizing the possibility of Corcoran as commissioner would have been screaming for nothing less than the removal of Stewart for their candidate to set the tone.